"One of the most prominent artists of his generation, Ed Atkins works primarily with High Definition video and text, exploiting and subverting the conventions of moving image and literature. 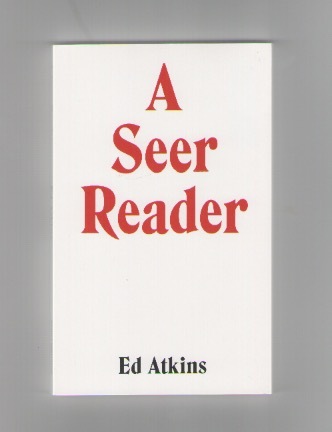 Focussing on the artist's use of language within his practice, A Seer Reader is both the title of the book and of the extraordinary new text written by Atkins especially for the publication. Curator and academic Mike Sperlinger explores and contextualises Atkins' writing."